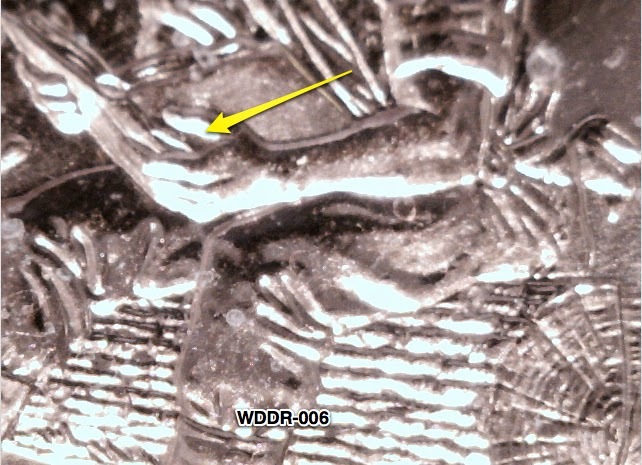 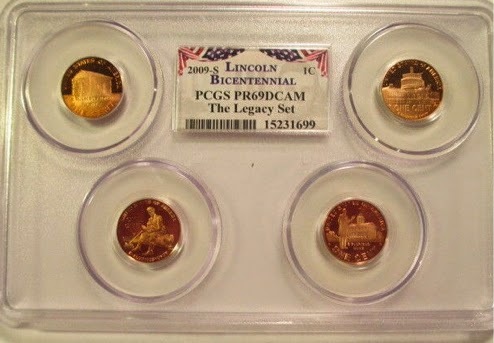 2009 marked the 100th anniversary of the Lincoln cent and was marked by one year reverse die change encompassing several different varieties. 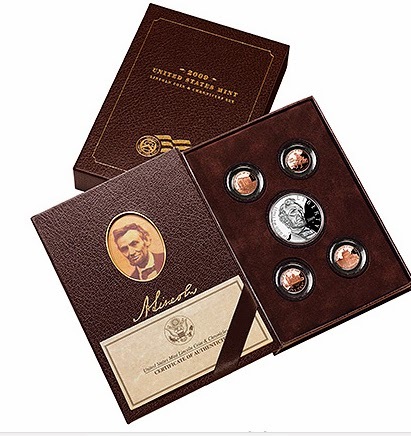 This is the special Lincoln Proof set of 2009. 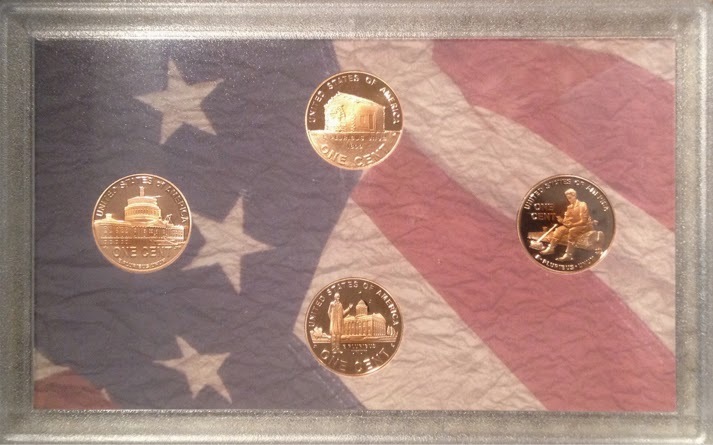 In addition to showcasing all four proofs, there's something else special: the coins in those sets have the same metallic content as contained in the 1909 one-cent coin - that is, they are 95% copper, 5% tin and zinc as opposed to the current composition of .975 zinc, .025 copper (a core of .992 zinc, .008 copper, with a plating of pure copper). 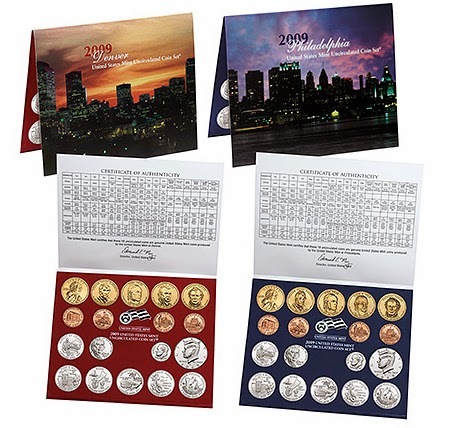 A Mint Set was also issued with the same composition as well as a "Lincoln Coin and Chronicles Set"that also contained a 2009 Abraham Lincoln Commemorative Proof Silver Dollar. 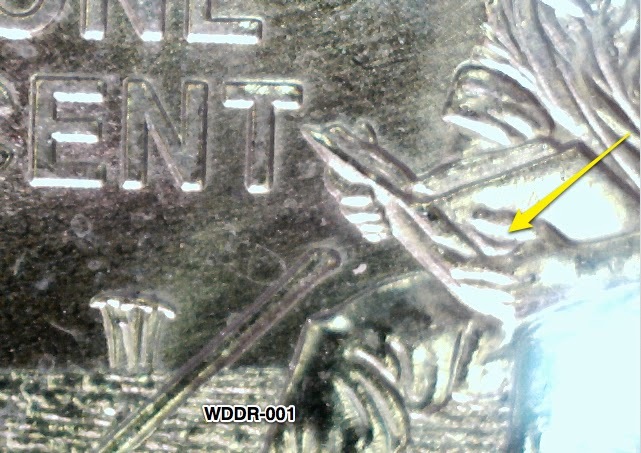 Note that 2009 cents struck for circulation have the normal composition of a zinc core coated with copper.